Frizzy By Nature, LLC is a nonprofit organization created to encourage self-love and inspire confidence among women. Frizzy By Nature held its second annual event Frizz Fest on July 21, 2018 in Tower Grove Park, St. Louis, MO. 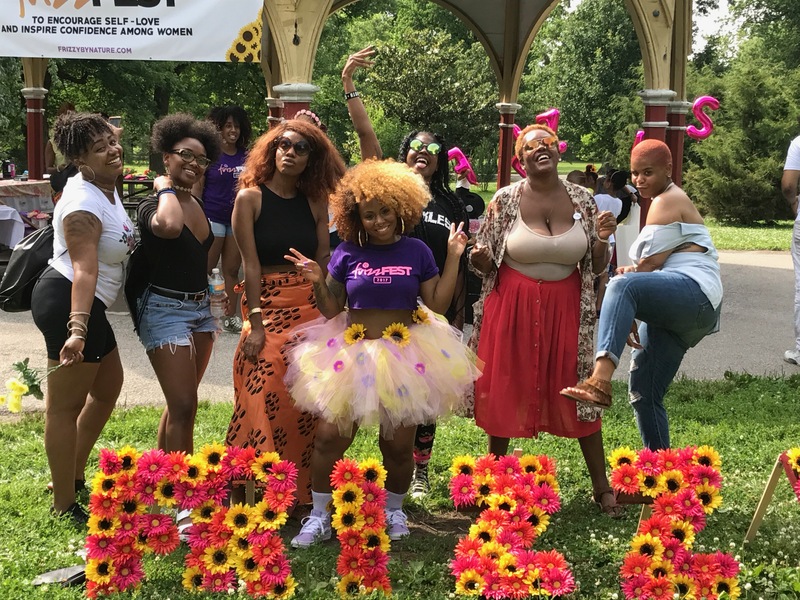 Frizz Fest is a natural beauty festival intended to bring women together within the community to network, support, and positively influence one another. At the event there were a variety of local vendors selling unique handcrafted items, food vendors, food trucks, local performing artists, music, pony rides, arts & crafts, giveaways, and more! Frizz Fest-Natural Beauty Festival was a major success, doubling its attendance from last year with over 1500 RSVP’s. The event was covered through various media outlets, notably The St. Louis American newspaper and Fox 2 News. We received vendor support from local small businesses and major organizations, such as, The Urban League of Metropolitan St. Louis, Inc and Planned Parenthood. Product and gift bag sponsors included top beauty brands such as Palmer’s, CURLS, and Shea Moisture. Through the use of social media and advertisement, Frizz Fest yet again exceeded expectations with overwhelming positive feedback from attendees and every vendor reporting a successful sales day.